Whenever I see this in the garage/parking lot of where I work, I get pissed off. The building I'm in are tenanted by two very large international corporations. The people who parked here are professionals, highly educated and executives level. 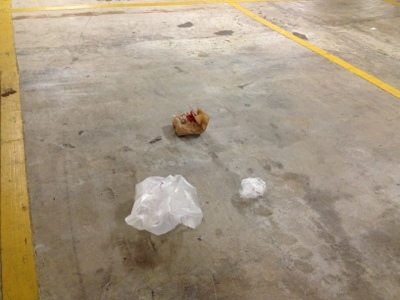 And yet, they are people who litter by dropping their litter bags on the parking bay hoping someone will pick it up. Their car is clean but not the lot. What a bunch of morons.